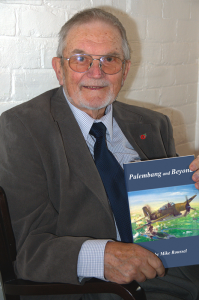 Mike Roussel has always been passionate about history, especially the stories about ships and aeroplanes, and the men and women who pushed them to their limits. He is a meticulous researcher who searches out the people who know the subject, most often those who have lived the subject, and then records their spoken stories, truly Living History. And most recently, Palembang and Beyond, published by Little Knoll Press.